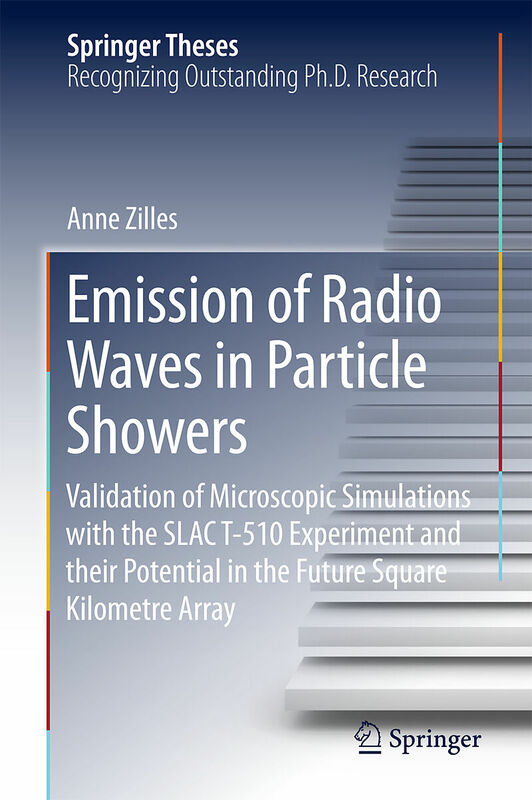 This thesis offers the first laboratory validation of microscopic simulations of radio emission from particle showers, including a detailed description of the simulation study. It presents a potential future avenue for resolving the mass composition of cosmic rays via radio detection of air showers. Particle showers are created from cascading interactions when high-energy particles collide with matter, e.g. with air in the case of cosmic radiation, or with a particle detector in the case of experiments at CERN. These showers can consist of billions of particles, mostly electrons, positrons and photons. They emit radio waves when the absorbing medium is in a magnetic field, and this radio emission can be used as a novel means of detecting and drawing inferences on the shower and the primary particle. The new method is currently being established in cosmic ray research, where large antenna arrays may soon replace or complement traditional particle detectors. In thi s study, a complete microscopic simulation of a radio-emission experiment conducted at Stanford Linear Accelerator Center (SLAC), Stanford/USA, is performed, and the underlying physical models are validated. The model is subsequently applied to the Square Kilometre Array (SKA) project, which is a large interferometer for radio astronomy. It is demonstrated that the SKA, with some modifications, might also be used for cosmic ray research based on radio detection of high-energy particles from the cosmos. 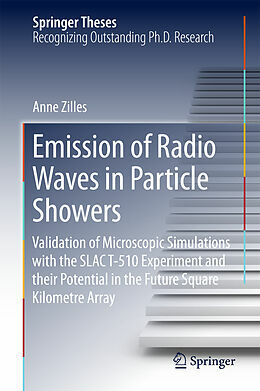 Introduction.- Cosmic Rays.- Modeling of Radio Emission from Particle\Air Showers.- Testing Predictions for Radio Emission from Particle Showers.- Modeling the Radio Emission from a Particle Shower.- Comparison of Microscopic Simulations to Data of the T-510 Experiment.- Detecting Cosmic Rays with SKA1-low.- Conclusions.